Who cares about details? As Naomi Schor explains in her highly influential book, we do-but it has not always been so. The interest in detail--in art, in literature, and as an aesthetic category--is the product of the decline of classicism and the rise of realism. But the story of the detail is as political as it is aesthetic. Secularization, the disciplining of society, the rise of consumerism, the invention of the quotidian, have all brought detail to the fore. 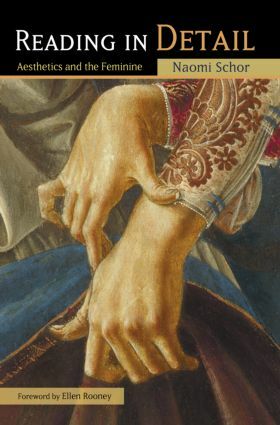 In this classic work of aesthetic and feminist theory, now available in a new paperback edition, Schor provides ways of thinking about details and ornament in literature, art, and architecture, and uncovering the unspoken but powerful ideologies that attached gender to details. Wide-ranging and richly argued, Reading in Detail presents ideas about reading (and viewing) that will enhance the study of literature and the arts.